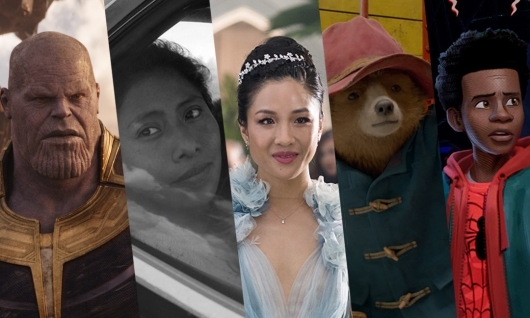 It’s that time of year again when critics release their top ten movies of the year. No list is really the same, but each is a glimpse of a critic’s tastes in movies. Some have a mix of blockbusters and indie films, others lean heavily towards the former or the latter. Whatever the case may be, we can all come to the conclusion that films are a means of an escape or to be entertained by. They help us grieve or express joy and love. Each year gives us such a variety of films that allows us to express those emotions. But what makes this year extraordinary special is that it took a giant step forward for representation. Some of the best films showed us that anyone can wear the mask. 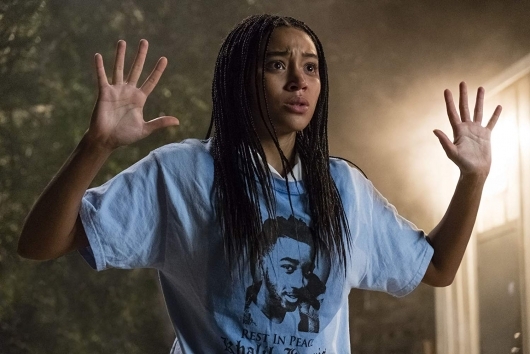 Another celebrates a culture that has gone under-represented for far too long by using a familiar yet effective rom-com formula. Other films spoke out to send a clear message about injustice. Then there are the sequels that thoroughly entertained us after 10 years of franchise storytelling. So while the best films of the year are a matter of opinion, below are my top ten favorite films of the year. Some of these films won’t appear on anybody’s list. Some won’t even be ranked the same. But these are the films that meant the most to me, and if you haven’t seen them, I hope my choices encourage you to do so. See below for my top 10 movies of 2018. As we get closer to the end of the year, more and more critic groups and guilds are releasing the nominees for the best of the year. Not all winners will be the same and that is what makes all of these guilds so special. As a member of the Los Angeles Online Film Critics Society, I took part in voting for the very best in film and filmmaking. This year, top honors went to A Star Is Born, with the Best Male Director going to Spike Lee for his work on BlackKklansman, and Lynne Ramsey winning Best Female Director for her work on You Were Never Really Here. Additionally, Alfonso Cuaron won awards for Best Foreign Film and Best Cinematography and Fox Searchlight’s The Favourite Best Comedy and Best Cast. 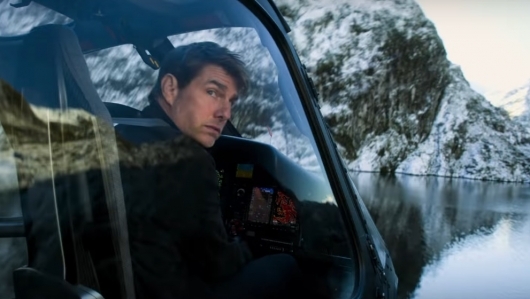 Mission: Impossible – Fallout also took home two awards for Best Action Film and Best Stunts. While Disney and Marvel’s Black Panther and Avengers: Infinity War won awards for Best Blockbuster, and Best Visual Effects and Best Visual Effects or Animated Performance. Check out the full list of winners here below. Releasing the first trailer for a blockbuster film during the Super Bowl isn’t a completely new strategy. But it is one that will get the most eyes considering that it is one of the most watched games on the planet. And with companies spending up to $5 million for each commercial, you can bet that each studio is going to put their best – or at least blockbustery – film out there. And to get ahead of that, some, like Paramount, are releasing teaser posters to generate some interest. The first poster for Mission: Impossible – Fallout has been released. The film is the sixth installment of the long-running franchise, which sees Tom Cruise reprising his role as Ethan Hunt once more. Check out the poster below. Don’t let his age fool you, Tom Cruise has been putting himself through a lot of hurt to bring a sense of realism to his films. That means he does his own stunts, even if those stunts risk his life. 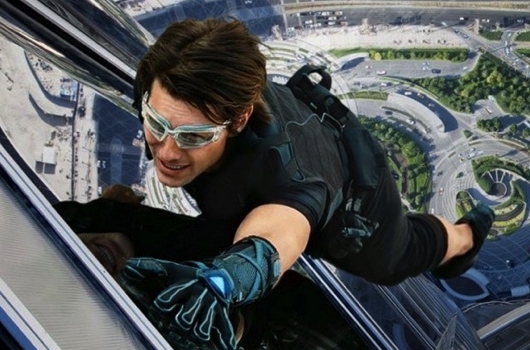 We’ve seen him scaling the world’s tallest building, the Burj Khalifa building in Dubai in Mission: Impossible: Ghost Protocol. Then he hung onto the side of a plane in Mission: Impossible: Rogue Nation. So what’s next for him in Mission: Impossible 6? Well, apparently it is a sequence that he has spent a year training for. When doing the press rounds for a film as big as Mission: Impossible, it’s hard not to hear a question about sequels. Normally, answers seem to pander to the talk show hosts, but in some cases, there are truths to the talent’s answers. 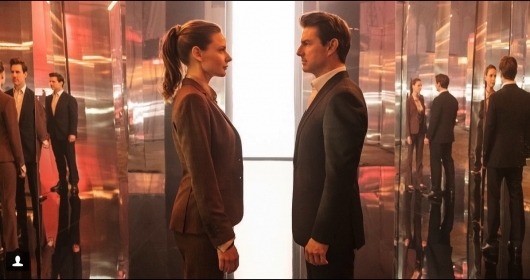 In this case, Tom Cruise said that they were working on Mission: Impossible 6, despite the Mission: Impossible – Rogue Nation not having it’s US theatrical release at the time. Of course, studios base their decision on the film’s performance at the box office, and now with Rogue Nation taking the number one spot at the box office with an impressive $57 million last weekend, there was no question that a sequel would be in order. 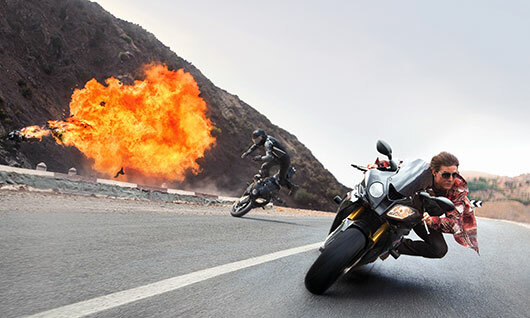 The newest installment of the Mission: Impossible franchise Mission: Impossible – Rogue Nation opens in theaters this weekend, and as always talks of a sequel have already made the press rounds. Tom Cruise is currently on whirlwind tour to promote the film, which is getting rave reviews. While the franchise doesn’t adhere to filming sequels like Marvel does, production on the sequel may start sooner than later. According to Cruise, the film could start production as early as next year. 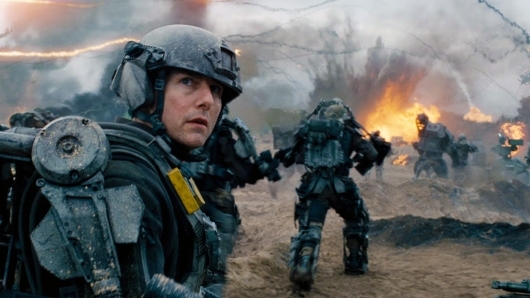 Cruise is also talking about the possibility of an Edge of Tomorrow 2, and has apparently pitched an idea to director Doug Liman and screenwriter Christopher McQuarrie. More on the story below.